Our Mission... is to serve as the voice of all clinical laboratory professionals, creating a vision for the advancement of our profession, and advocating the value and role we play as laboratory professionals. 2019 marks the 70th anniversary for ASCLS-Idaho, an amazing accomplishment! We plan on doing what we've been doing for the past seventy years: Celebrate...Educate...and Motivate! 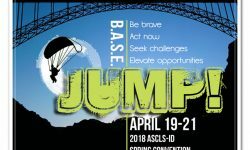 Don't miss out on this banner year for ASCLS-Idaho and join us in Boise on April 11-13, 2019. If you want to know what ASCLS does for you personally, you need to attend the 2019 ASCLS-Idaho Legislative Symposium in Twin Falls this spring. This informative session will keep members updated about the important legislative efforts ASCLS is involved with. Come and be blown away! IMSS is ready to FOCUS ON THE FUTURE! We celebrated the past and reminisced with old friends but now we are ready to embrace the future and all it has to offer. Join us in the future at the Snow King Lodge in Jackson Hole! 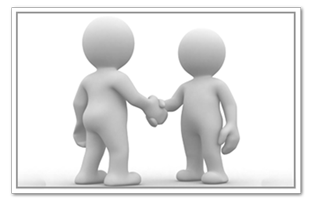 ASCLS-Idaho is always looking for new friends...especially you! If you want to stay up to date with all the happenings in ASCLS-Idaho be sure to LIKE our Facebook page! 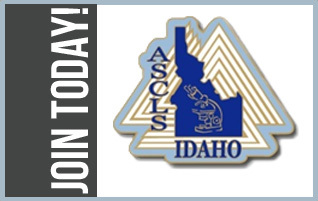 ASCLS-Idaho is the place to be informed, stay connected and get involved! ASCLS-Idaho shares the mission and vision statement of our national organization which is to serve as the voice of all clinical laboratory professionals, creating a vision for the advancement of the clinical laboratory practice field, and advocating the value and the role of the profession ensuring safe, effective, efficient, equitable, and patient centered health care. ASCLS-Idaho is celebrating our 70th Anniversary this year! Join us in Boise where we will celebrate, educate and motivate! 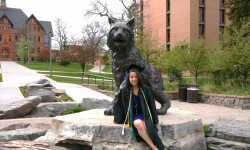 Take the time to join ASCLS...today! We have a brand new President...a brand new Board...and brand new Committee Chairs! Take a minute to see who your brand new leaders are and let us know what we can do for you!